Just got this and tried a single flavor at 5%. Not much taste and can’t figure out what it is. Any thoughts/recommendations. New mixer so any help appreciated. Having the same problem with JOY (FA). 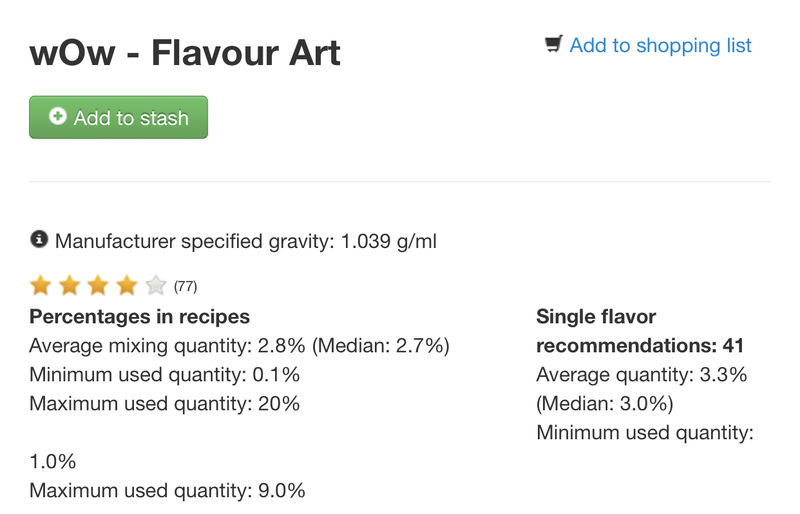 Type in Flavour Art Joy in the search bar and it will take you to the post that talks about it. it’s the 38th comment or so. Doesn’t have much to do with “joy” but probably has some joy fa in there. @Duffy5 here is the info you seek and would believe you over flavored your test. Personally when I mix with joy I add alittle more supporting flavors like a touch more strawberry and more bakery. Try taking a look at some of the recpies. No mention of steep times. You DID steep it first, right? IMO it’s generally not a good idea to SNV when doing single flavor tests. I always do at least 2 weeks steep. Don’t know any better so better safe than sorry. Besides, I usually have 50 bottles of various recipes mixed so no shortage. Thanks. That helps. How about a couple percent Honey and some sweetener. Thanks for helping the new guy. Joel - Ya lost me. New here, remember. Lvl 110 Blood Elf Monk named ShikkyShabaz refers to what? How about a couple percent Honey and some sweetener. Depends on which honey. I use FA and it needs very little. Like .25 percent. If you like sweetener then yes use it because I found that Joy tends to be a bit dry. If you have any more questions don’t hesitate to ask.